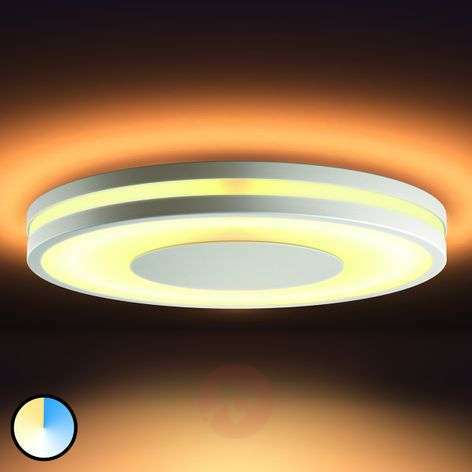 The Philips Hue Being LED ceiling lamp delights beholders even when it is turned off, as it is a special highlight on the ceiling of a room due to its round, satin-finished plastic lampshade which is adorned by white rings all around. 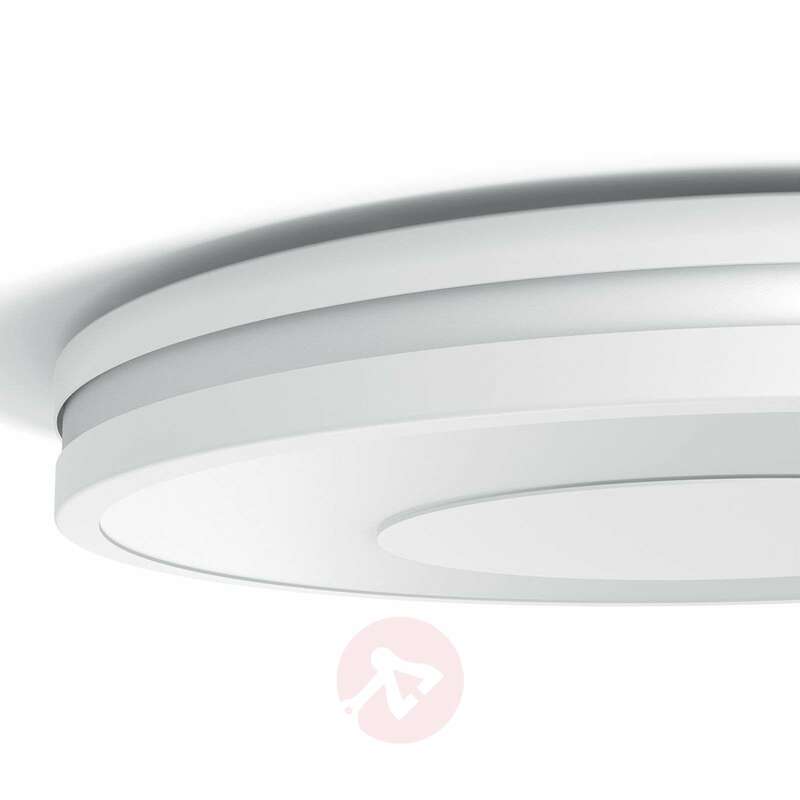 However, it is not only the design that is a special feature of this ceiling lamp, but also the fact that the light has the so-called "Zigbee standard". This means that the light can be integrated into an existing smart home system - the prerequisite for this is a Hue gateway - and controlled very conveniently by the free app, via a tablet or smartphone. The luminous colour, the brightness and a variety of lighting scenarios can be set as desired and saved. 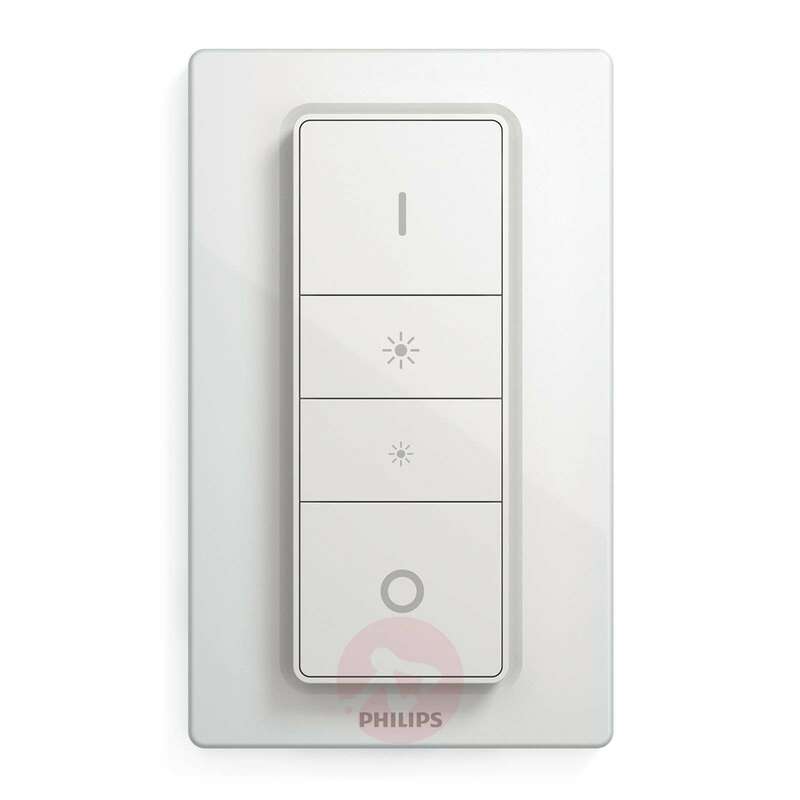 If you want to control the light without integration into a smart home system, you can do this using the wireless dimmer switch which is included with the light. It can either be placed above the light switch or simply laid on the table. Four light modes are already saved on the dimmer switch (Relaxation, Reading, Concentration, Energy), but your own light settings can also be saved. Is anyof the Hue lamps suitable for a bathroom? 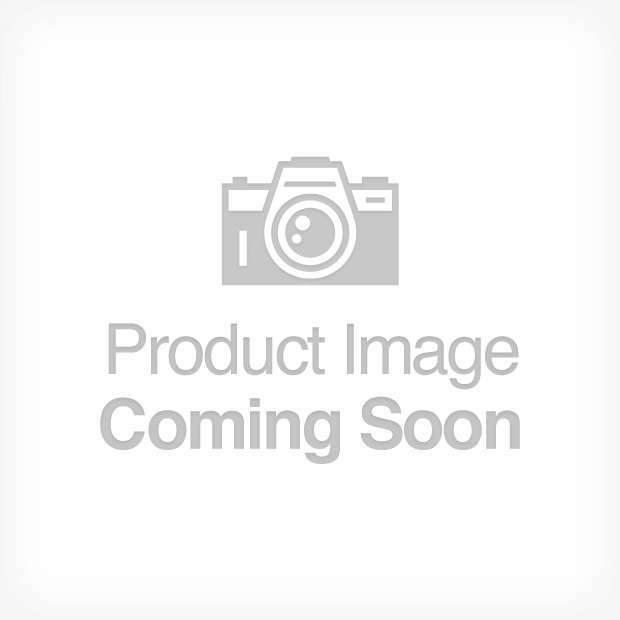 We currently have item Nr. 7532038 available. It is suitable for bathrooms. Can you fit a smart bulb that will change colour to this ceiling light? 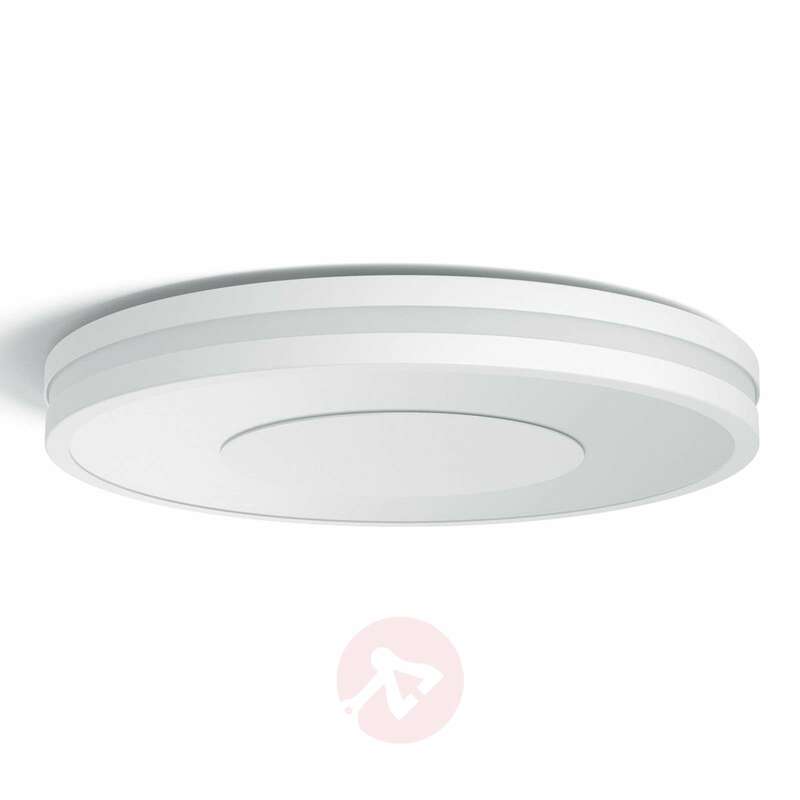 The LED's in this unit is permanently fixated and therefore cannot be exchanged / replaced. The light has an integrated luminous colour rendering which will allow you to change the Kelvin from warm white to daylight. Can it be configured to work with Alexa through the Hue app? You will be able to operate it with the Alexa app in conjunction of the Phillips Hue Bridge. These are great lights, we love the dim function. 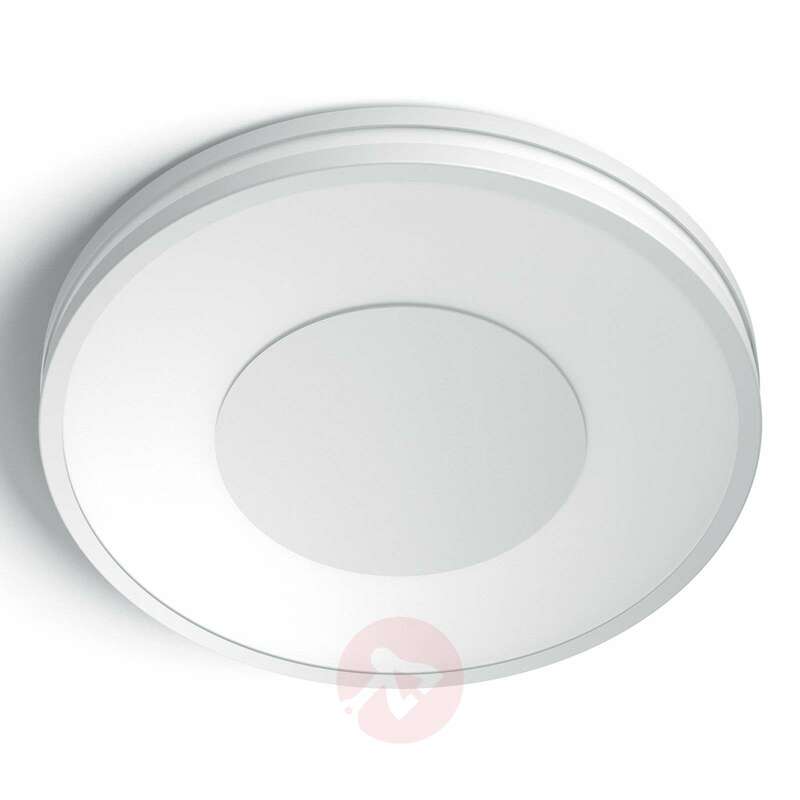 This light is great, we love asking Siri or Alexa to turn them in or off and they can also set the light brightness. The light works very well, easy to install. The light looks good but feels fragile through installation although it isn’t. It works very well and the different light quality choices are a real boon. Excellent product. Room is much darker than I expected. We made a test connection and temporary installation on the ceiling. Looked at the brightness in different day and night time. Thank you for your feedback. This will help other customers in choosing their lights. We're sorry to hear that you aren't pleased with how the light illuminates your room. If you'd like to send the light back please feel free to do so by registering your return in the portal on our website. Should you need assistance in choosing an alternative light we'll be glad to help!